Plot Outline: Wanting to escape the city life, Cooper Tilson (DENNIS QUAID) and his wife Leah (SHARON STONE) move their family to the remote countryside of New York. But their broken-down dream house becomes a living nightmare when the previous owner (STEPHEN DORFF) shows up and they discover the frightening secrets of the estate’s dark and terrifying past. Feature Commentary – Director Mike Figgis provides an informative if not dry track offering tidbits on the story, working with the cast and other crew members. Cooper’s Documentary (7:12; SD) – This featurette covers the documentary aspect for the main character and gives an inside look to the Cold Creek Manor. 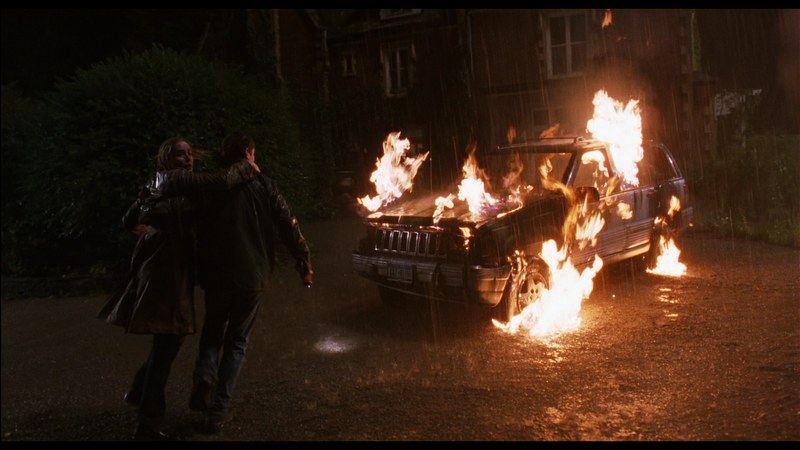 Rules of the Genre (7:58; SD) – This is about what rules there for suspense-thrillers and how this one follows them. Lastly there is an Alternate Ending (4:14; SD) which features a cameo by Figgis, and a collection of Deleted Scenes (8:31; SD). Touchstone releases Cold Creek Manor on Blu-ray for the first time presented in its original 1.85 widescreen aspect ratio. The 1080p high-def transfer doesn’t look terrible but there are instances of artifacting or soft shots, however, it’s easily better than its DVD counterpart. The disc comes with an adequate 5.1 DTS-HD Master Audio track. The strongest point is the center channel where most of the action (i.e. dialogue) takes place. The surrounds are on the softer side and the LFE channel is basically non-existent. 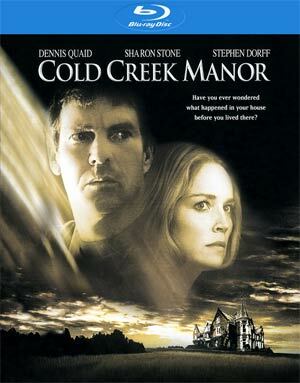 Overall, Cold Creek Manor wasn’t as awful as it’s been portrayed over the years but in no way is it very good either. Mike Figgis is normally a competent filmmaker but here the script is half-baked and the acting subpar especially Dennis Quaid who primarily sleepwalks his way through. The Blu-ray at least offers above average video and OK audio.